I have been waiting for this. I need to change my ACER Aspire One to Samsung NC10. The 8.9" screen of ACER is too small for me, I want a 10" screen that the new Samsung NC10 has. 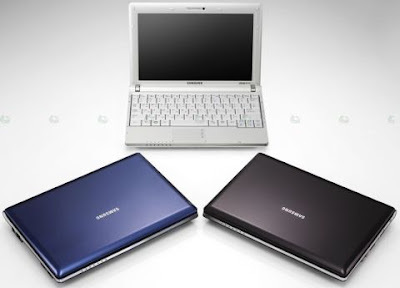 I have heard too that Samsung netbook might have best keyboard ever. It is now official! Samsung NC10 is available in the US for a $499. You can buy it at Buy.com. Amazon is also offering it for the same price of $499, in two colors: metallic blue and metallic white. There is a Samsung NC10 review at laptopmag.com as well as photos and a video. TRUE love and romance are just a click away! Apple $800 laptop coming soon? Air New Zealand goes for the "bald"